At Picture Pretty Kites we shop the world for unique kites, wind toys, wind decor, and accessories.We specialize in low prices and outstanding customer service. Based in the USA, in Omaha, Nebraska, we supply kites all around the world. 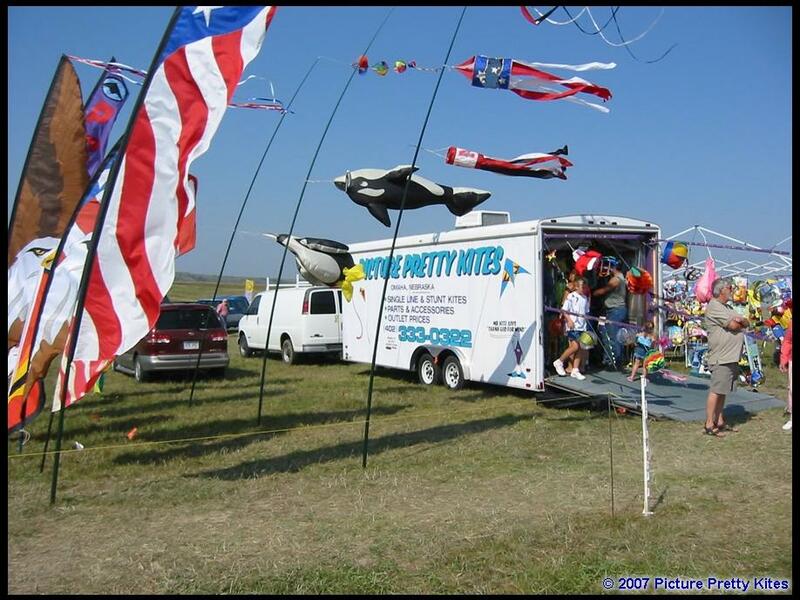 Picture Pretty Kites is so confident that you will both enjoy the way our kites fly and the way they are priced that we provide a money back guarantee. We offer you a vast variety of kites and wind toys to choose from in our categorized inventory. There are videos of many of our kites, so you can see how they fly before you place your order. We also offer you secure ordering using our SSL (Secure Socket Layer) and now, you never have to worry about ordering online with your credit card. Please check often for our special offers and new products. We update the inventory every week to offer you the latest products. Check our Facebook page, too, for more news and special offers. So, have fun browsing through our website. If you have questions or comments, please call or email us at customercare@pictureprettykites.com.